It’s Office Secret Santa time again. Cue last minute gift shopping, cheesy Christmas playlists, forced smiles, and socially awkward present opening. Don’t panic if you’ve got to buy a gift for Angela from Accounting but you’ve never even spoken a word to her. We’ve put together a brilliant list of gift ideas for your co-workers, all for a budget of £5 or under. 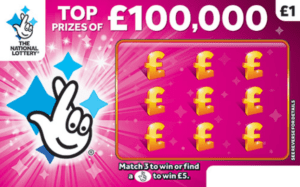 There’s also an extra-special suggestion right at the end of our handy gift list, so be sure not to miss it! 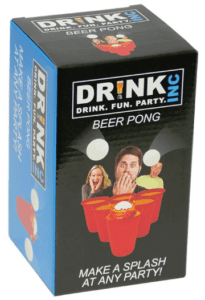 One for the beer fans, Prezzybox have packaged the ultimate drinking game for only £4.99. 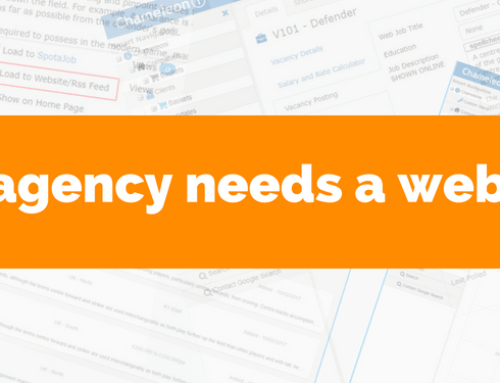 You never know, you might be able to crack it out as soon as it gets opened – providing there’s beer in the office of course. In fact, why not have a word with the party planners to make sure they’ve got beer on the list of Christmas refreshments? If you’ve noticed your co-worker munching avocado on toast, in a salad or drinking it in a smoothie every lunchtime, chances are they will want this shopping bag. 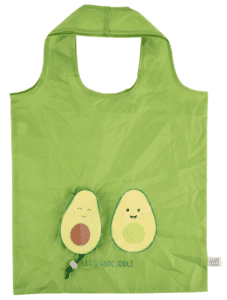 Made by Sasse & Belle, this bag is the perfect Secret Santa gift for avo-fans and is a steal at only £4.50. It folds away into a tiny avocado for extra cuteness points. 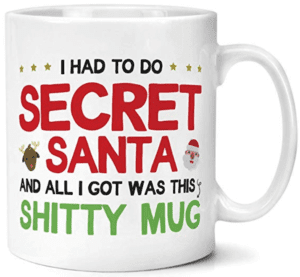 It will be easy to get your Office Secret Santa recipient into the spirit of Christmas with a pair of Christmas Snowman Socks. Complete with fluffy lining, these useful and seasonal socks can be purchased from ASOS for £4.80. They are available in UK 4-8 and UK 9-13 – just make sure you get the correct size! 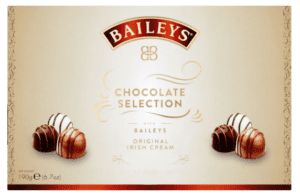 This delicious present is perfect for chocolate and Baileys fans. It includes milk, white, and dark chocolate truffles and you can pick it up £5 at Wilko. Why not pick yourself up a box while you’re there? This box will make a special treat for someone that has a sweet tooth. 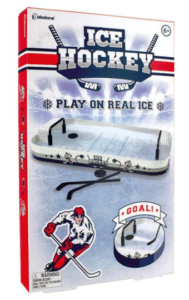 This table top Ice Hockey game is perfect for the big (competitive) kid in the office. It was reduced from £6 and is now only £5 from Superdrug. It’s small enough to fit in their drawer to be brought out every lunchtime. Add in homemade scoresheet for extra points. Has Gavin always spoken about Harry Potter to you at the water cooler? He’s given you a massive hint if he has! 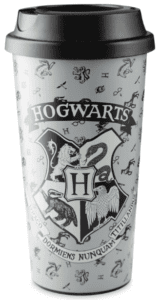 This Harry Potter travel mug from Aldi is only £3.99 and will make his morning commute to work a little happier during the darker winter months. If the person you’re buying a Secret Santa gift for is someone you actually care about, then why not get them a personalised magnet with a picture that means something to them? 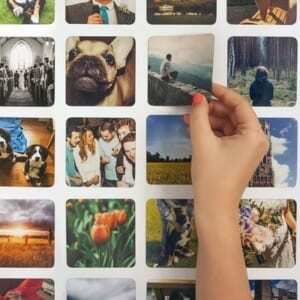 Using Paperwave, you can upload photos from Instagram, Facebook or your computer, and turn them into a magnet for only £4.95. 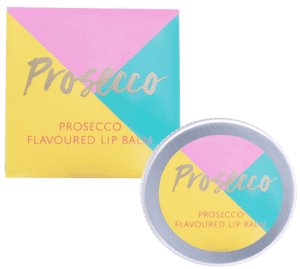 At only £4.48, you can get some Prosecco flavoured lip balm. It’s a fun present for any Prosecco fan in the office and will help moisturise lips cracked from the cold. It’s got a pretty label, which makes it extra fun! 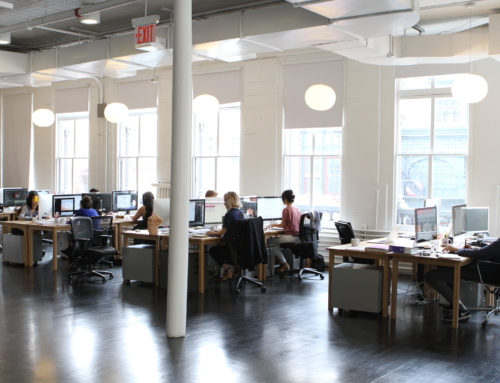 We all know the heavy tea drinkers in the office. 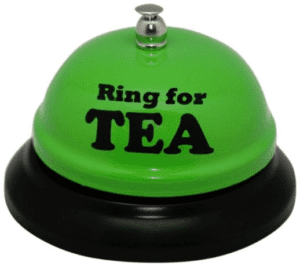 They will love this novelty bell from Find Me A Gift. It’s only £2.49 at the moment, so you can chuck in a pack of teabags to help bulk out your Secret Santa gift. If you fancy putting in a bit of effort, then consider creating a chalkboard mug. 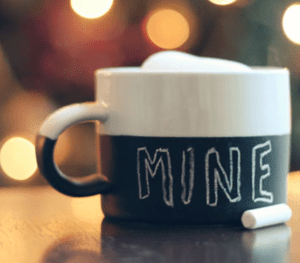 You only need a mug, tape, a brush and porcelain chalkboard paint. 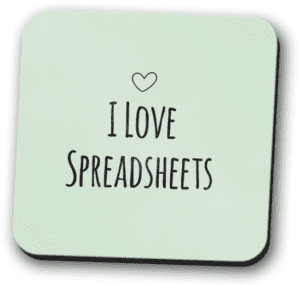 It’s a lovely idea and is something a bit special, perfect for a co-worker that you truly get on with. Chosen someone that loves to garden? 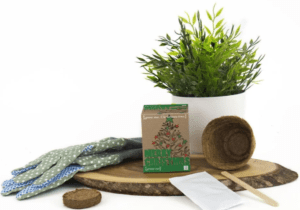 If they have green fingers they may relish the chance to grow their own tree this Christmas. It’s only £4.50 and they can watch it get bigger if they keep it on their desk. 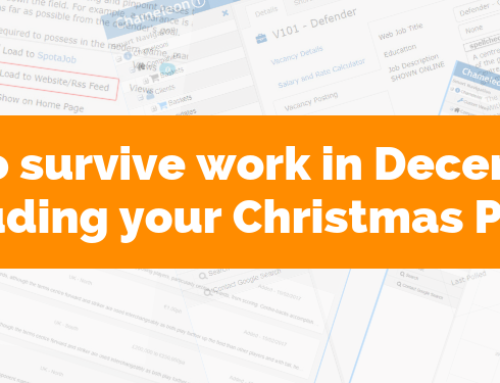 This is a brilliant idea and another great Secret Santa gift for an office worker you actually care about. 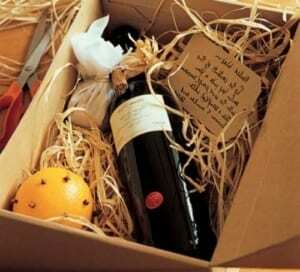 You only need a bottle of wine, muslin and a few ingredients that you probably will already have at home. 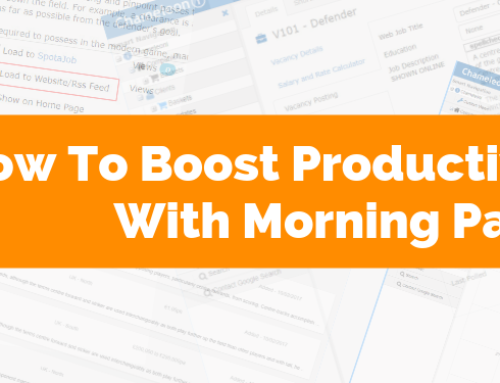 Write a little handmade note and the whole office will be impressed! 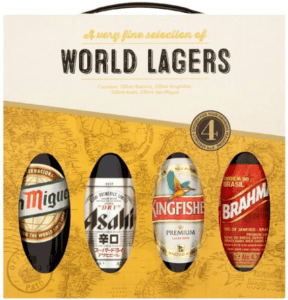 Would it really be Christmas if someone wasn’t getting a World Lager Selection Gift Set? Morrisons are selling theirs for £5. If you want to get them for family and friends too, then they are currently on offer – buy 2 for £8. Bargain! It’s £8.95 but if your Office Secret Santa gift limit is set at £10 then we’d definitely recommend buying this.